In the absence of the Moore family, Lori spoke to Jeff Boutin, former Anchor of Business Beat. 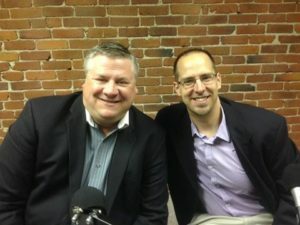 We heard about the New Hampshire Christian Business Network, and they introduced us to Adam Cote, who is part of the Concord chapter of the network. Jeff told us about his work as a financial planner for JPB Financial and shared the importance and benefits of giving. Finally, we heard more from Adam of Envoy Mortgage. He gave us some of the details of his personal life and he talked about the world of mortgage.